Click for .jpeg in white. When the freed slaves moved from Redland and Goshen they purchased land in the Gaithersburg area and established the Emory Grove Community. Between the early 1860’s and 1870’s church services, Sunday school and Prayer meetings were held in the home of Civil war veteran, John Dorsey, who began to win souls for Christ after he won his freedom. His home was located on the Codwise farm (Now the Montgomery County Airpark). Shortly after, the congregants that met at his home formed a choir under the leadership of John Ennis, Jeffrey Maccabee, Perry Tyler, and Henrietta Johnson. Emory Grove was part of the Washington Conference set up in 1871. (The charge included Rockville, Norbeck, Quince Orchard, and Laytonsville) At that time those who fellowshipped would worship in the home of Robert Taylor. 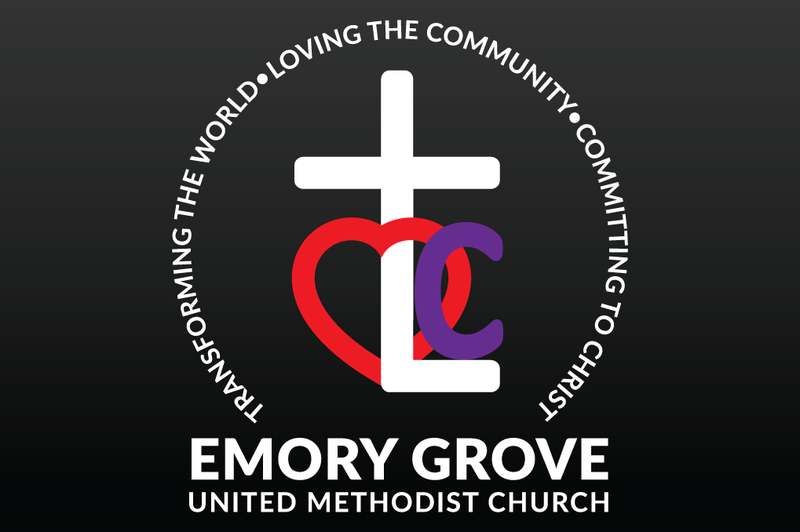 In 1874, the first church structure in the Emory Grove community was built. This structure which cost about $500-600 and had a small balcony and no-back benches, was dedicated by Rev. N.M. Carroll. 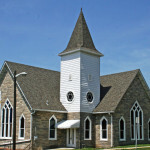 The church was built before a formal deed for the property was executed; it was deeded on March 16, 1878 at the cost of $25.00. 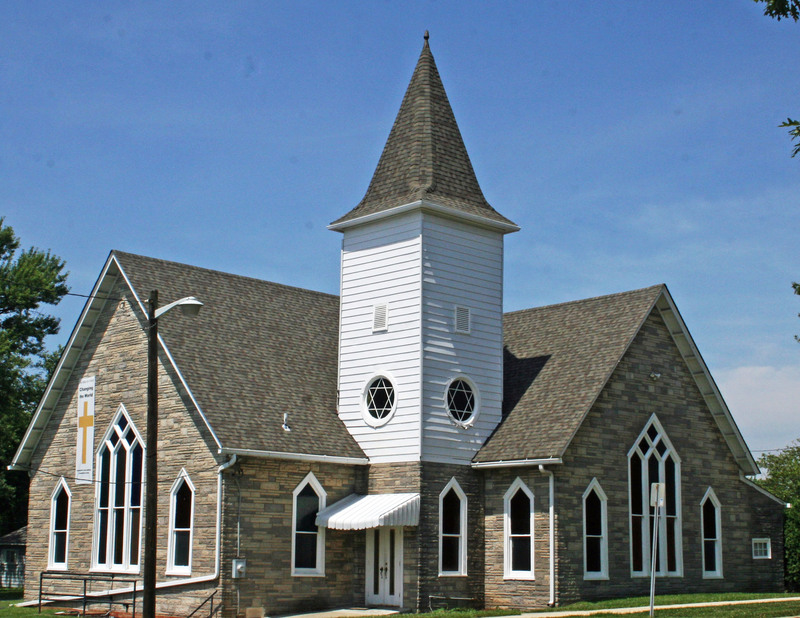 The old structure was demolished in 1900, and in 1903 the new church building (known then as Emory Grove Methodist Episcopal church) was completed at an estimated cost of $3,000. Mr. John W. Dorsey laid the cornerstone. Building of the first parsonage was started under Rev. T.P. Thomas in 1910, and completed in 1911 under Rev. C.E. Hodges. In 1877, the great camp meeting started. This was one of the best known camp meetings in Maryland. It ceased during the 1960’s but resumed in the 1990’s. Prominent organizations of the church included the Ladies Aid society, organized by Mrs. Anna Taylor in 1920. In the 1930’s Rev. N.C. Barnes started a Junior choir, and church organizations included the Rosebuds and Busy Bee’s clubs. The men’s quartet under the leadership of Mr. James Henry Braxton won first place in a county-wide contest. He later became director of the Men’s Chorus which formed in 1945 and rendered its first program in 1946.
ln 1939, the Methodist Episcopal, Methodist Protestant, and Methodist Episcopal South all merged to form the Methodist Church. The Ladies Aid Society was replaced by the Woman’s Society of Christian Service in 1940. The Woman’s Society of Christian Service later became the Women’s Society of Christian Service. The Epworth League became the Methodist Youth Fellowship in 1941 and the Usher Board was formed in 1945. In 1957, under the leadership of Rev. Smallwood and Mr. Ruize Tyler, a new parsonage was built adjacent to the church. Mrs, Hazel Chambers started the Junior Chorus in 1963. The Gospelettes were inspired by Mrs. Sadie Taylor and organized under the direction of Rev. Glenn Taylor in 1964. In 1961, the Methodist Men were organized. During the early sixties, other ministries began such as the Willing Workers and the Pulpit Committee. Between 1960 and1962, the church was modernized. During the renovation, church services were held in the Camp ground and the parsonage. The parsonage was renovated in 1979 and additional property was purchased to enlarge the parking lot. The kitchen was remodeled in 1984, and the church purchased additional property in 2002 for expansion of their ministries. Modernization continued 2003 thru 2006. In August 2013, Rev. 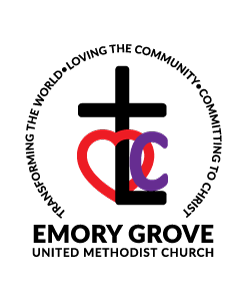 Timothy B. Warner was appointed as the Pastor of Emory Grove United Methodist Church. Since his tenure as Pastor Emory Grove has re-instituted and revitalized Bible Study, Prayer Meetings, Lenten Fast, Sunday School for all ages, Youth and Young Adult ministries. Pastor Warner continues to seek God and to cast the vision in which God reveals to him for the church and the community.